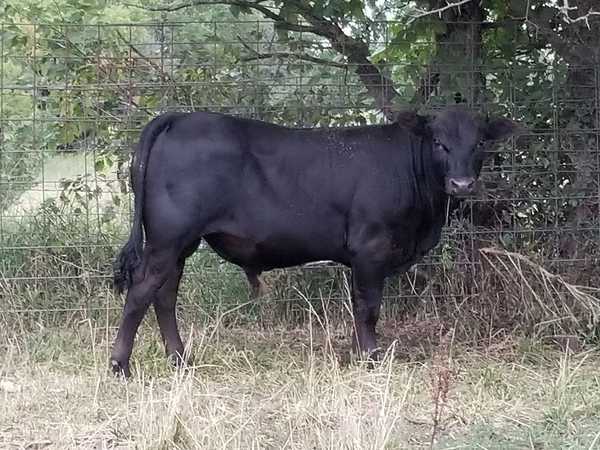 Picture taken at a farm near where I live ... this is a bull calf, about 9-10 months old, with a single spot of white at the end of his sheath. He's been off mama for about four months. Don't know. But he is looking at the photographer like someone just insulted his family. Bright Raven wrote: Don't know. But he is looking at the photographer like someone just insulted his family. Reminds me of the Robert Ruark quote "A cape buffalo looks at you like you owe him money"
I enjoy his books. My favorite is Something of Value. Muddy ... you're always such a pleasant guy. Pfft. BR ... he's actually pretty laid back. WalnutCrest wrote: Muddy ... you're always such a pleasant guy. Pfft. I don't doubt that a bit. I was actually impressed with his keen looking head. I am going to say there is a Mashona look to him. Not trying to be negative but if you make an order buyer guess you're going to lose. cow pollinater wrote: Not trying to be negative but if you make an order buyer guess you're going to lose. Is that one of the new solid black herefords? I've seen some PB Angus that have looked like him. I thought all black cattle are CAB? Why make these posts if you're not going to give the answer?